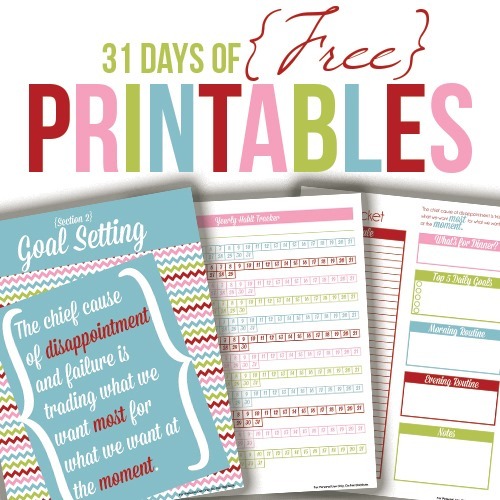 If you’re sad that today is the last day of this 7 Days of Free Printables series, I have some good news for you. 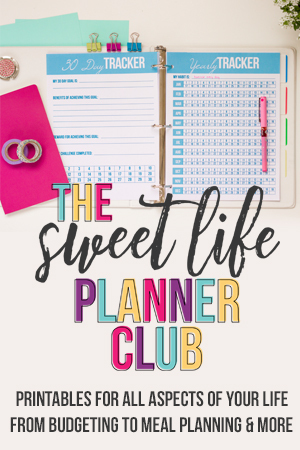 Every day can be like today when you join the Sweet Life Planner Club! 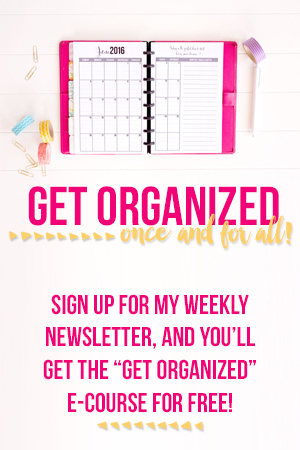 There are over 1,000 printables waiting for you to explore and make your own, along with new content every single week and a freshly designed monthly bonus pack sent straight to your inbox every four weeks or so. We’d love to have you join us! Today’s page is pretty nifty. 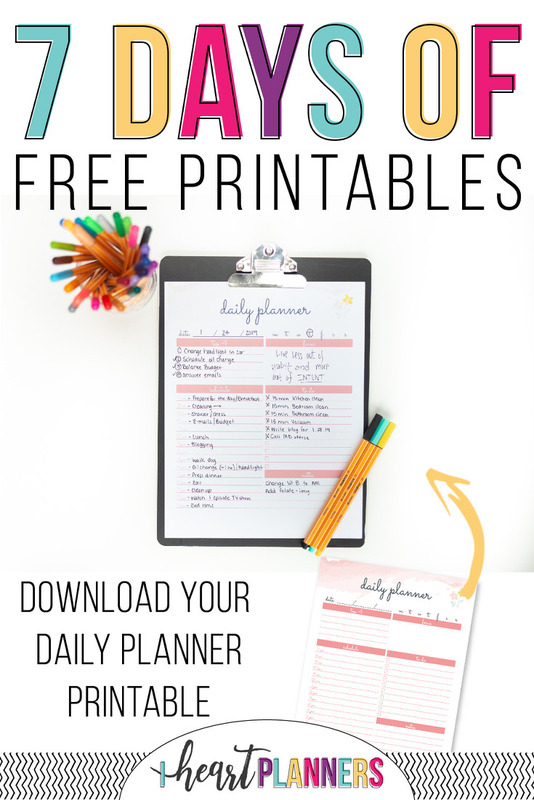 It’s a daily planning page that incorporates several of our most common requests into one. (And for anyone who bought the Sweet Life Planner, don’t click away! 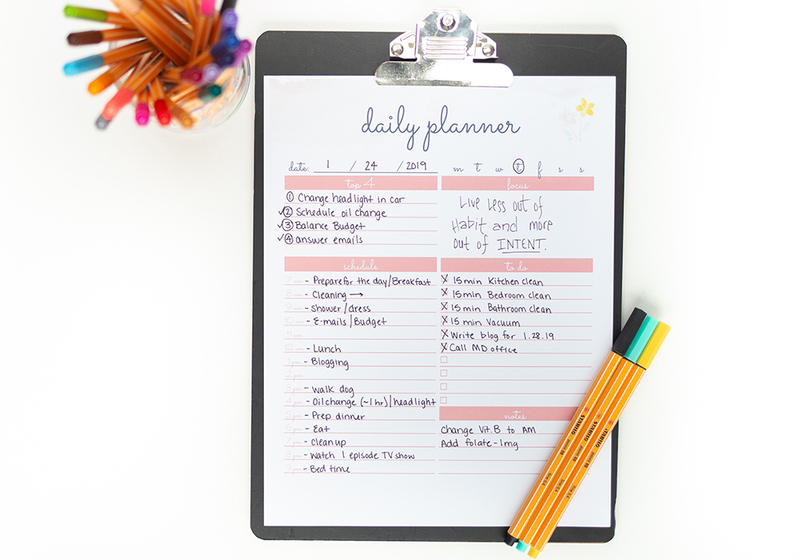 This is a completely different page than what you’ll find in your planner.) Those of you who have read my blog for any length of time know that I believe the key to productivity is prioritizing, so of course, at the top of this sheet, there’s a section for your “Top 4” for the day. Then there’s a focus area, to-do list, notes, and the real gem of this sheet, a schedule for the day. Open Saturday afternoons are great for running through a long to-do list. But sometimes busy Monday mornings are better conquered when we have an hour-by-hour schedule. We’ve probably all been guilty of running late to pick up at least one kid from an after school activity or a friend’s house. Writing things down doesn’t solve every problem, but being able to see that there’s only half an hour between your lunch date and school pick up might make you less inclined to begin deep cleaning your fridge in that time period. You can get this last, but certainly not least, printable by clicking below. I’ve loved sharing all of these with you this week! One last reminder that there’s a lot more where these came from and you can have access to it all by clicking here. Day Seven: You are here! Why so expensive? I spend less than $50.00 a year on everything you offer, plus I don’t have to print anything and it all fits in my binder, no large papers to deal with.